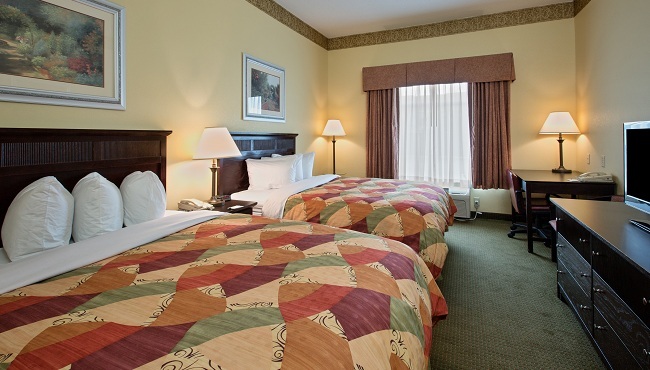 The Country Inn & Suites® by Radisson, Hampton, VA makes it easy to enjoy the Hampton Roads region. Our hotel’s convenient location allows quick access to the area’s main points of interest, and we are less than six miles from both Hampton Coliseum and Hampton University. If you’re here on vacation, you can reach Buckroe Beach in about 15 minutes and Busch Gardens Williamsburg in about 25 minutes. 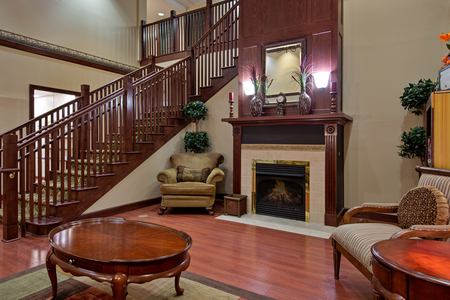 If you’re in town with a large group, reserve a One-bedroom Suite to enjoy separate living and sleeping areas along with all standard amenities. 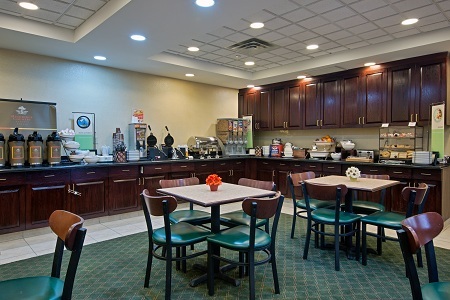 Before you head out to explore Hampton, help yourself to the hotel’s complimentary, hot breakfast. Load up on hearty fare like eggs and waffles, or keep things light with yogurt and fresh fruit. When it’s time for lunch or dinner, several family-friendly restaurants are nearby. Try the hot crab dip at Harpoon Larry’s or the pub-style fare at Park Lane Tavern. Hampton University – You’re just a 12-minute drive from the seaside campus of Hampton University, one of the nation’s top-ranked Historically Black Colleges & Universities (HBCU). Hampton is home to the Pirates and the Hampton University Museum. The Mariners’ Museum and Park – Located about 15 minutes from the hotel, this attraction’s 90,000-square-foot museum chronicles maritime history and culture through more than 32,000 objects and works of art. When you’re done perusing the exhibits, explore the property’s 550 acres of natural woodlands. Virginia Air & Space Center – Situated less than 10 minutes away, this museum is home to interactive exhibits covering 100 years of airborne exploration. Guests can check out a replica of the Wright brothers’ airplane, fly an F-22 Raptor in a simulator and view a Martian meteorite. Hosting a meeting or a celebration in Hampton? 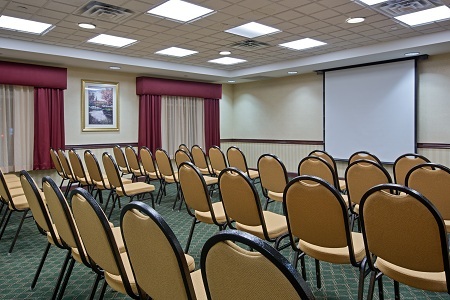 Our versatile meeting space can accommodate up to 50 people for a standing reception or a seated event. We can also help with audiovisual equipment and catering recommendations to make your event shine.